Este aporte no trata de la diferencia entre los verbos saber y conocer, sino de la diferencia entre conocer un aspecto de un idioma abtracta versus íntimamente. Encontré un fenómeno parecido recientemente cuando estaba preparando un examen para mis clases de español. Como siempre, había incluido una pregunta usando tú y tus amigos para obtener una respuesta usando nosotros. La pregunta específica era algo como ¿Qué van a hacer tú y tus amigos este fin de semana? Una colega española que leyó el examen se quedó horrorizada. Insistió en que la pregunta era gramaticalmente incorrecta porque combinaba la habla informal (tú and tus) y formal (van). De hecho, solo el español de España mantiene el contraste entre las formas plurales formales e informales. Mi colega, por ejemplo, usa vosotros y sus formales verbales (como vais) cuando habla con amigos, y ustedes (con van) cuando habla con superiores y desconocidos. Pero en Latinoamérica (y Andalucía), se usa ustedes en contextos formales e informales. En este dialecto mi pregunta es correcta. Para mí, lo interesante de la reacción de mi colega es que por supuesto sabía intelectualmente que “no se usa vosotros en Latinoamérica”. Pero cuando encaró un uso específico, como mi marido con los números “franceses franceses”, su reacción era rechazarlo. Sabe, pero no cree. Esta diferencia entre conocer y conocer (o saber y saber, o saber y creer) también tiene un gran impacto en el aprendizaje de un idioma extranjero. Cualquier estudiante de español principiante o intermedio se declararía de acuerdo con reglas básicas como “los adjetivos tienen que estar en concordancia con los sustantivos” o “los verbos tienen que estar en concordancia con sus sujetos”. Pero siguen violando estas reglas sin embargo en su español oral y escrito. Por la mayor parte, en mi opinión, es porque no han alcanzado el segundo nivel del conocimiento. Al fondo no han aceptado que el español pueda ser tan diferente del inglés, ni que estas violaciones verdaderamente resulten en español incomprensible. Solo el tiempo y la práctica los van a convencer. This post isn’t about saber and conocer, the two Spanish verbs that mean “to know”. Rather, it’s about the difference between knowing an aspect of language abstractly versus personally. I ran into a similar phenomenon recently when preparing a Spanish test. As usual, I had included a question about “you and your friends” (tú y tus amigos) in order to trigger a “we” (nosotros) answer. (The exact question was something like ¿Qué van a hacer tú y tus amigos este fin de semana?) A Spanish colleague who looked over the test insisted that the question was grammatically incorrect because it combined informal address (tú and tus) and the formal plural verb form van. In fact, only peninsular Spanish, as exemplified in the Spanish of Madrid, maintains a contrast between informal and formal address in the plural. Thus my colleague uses vosotros when addressing friends, and ustedes when addressing superiors and strangers. The same goes for the associated verb forms, such as informal vais versus formal van. But in Latin America, as well as Andalusia (southern Spain), ustedes and its verb forms are used in both formal and informal contexts. In this dialect, my usage was perfectly correct. What interested me about this exchange is that my colleague certainly knew that “Latin Americans don’t use vosotros“. Yet when it came to a specific application of this knowledge, her reaction was rejection, or even revulsion, just as when my husband has to force himself to use the “French French” numbers. She knows, but she doesn’t believe. This difference between knowing and knowing also strongly affects second language learning. Any beginning or intermediate Spanish student will agree that “adjectives have to agree with nouns”, “verbs have to agree with their subjects”, and so on. They can probably list examples of correct agreement. Yet they continue to violate the rules in their spontaneous spoken and written Spanish. This is largely, I believe, because they haven’t progressed to the second level of knowing. In their heart of hearts they haven’t truly accepted that Spanish can be so different from English, and that violating these rules genuinely results in incomprehensible language. Only time and practice will drive the reality home. 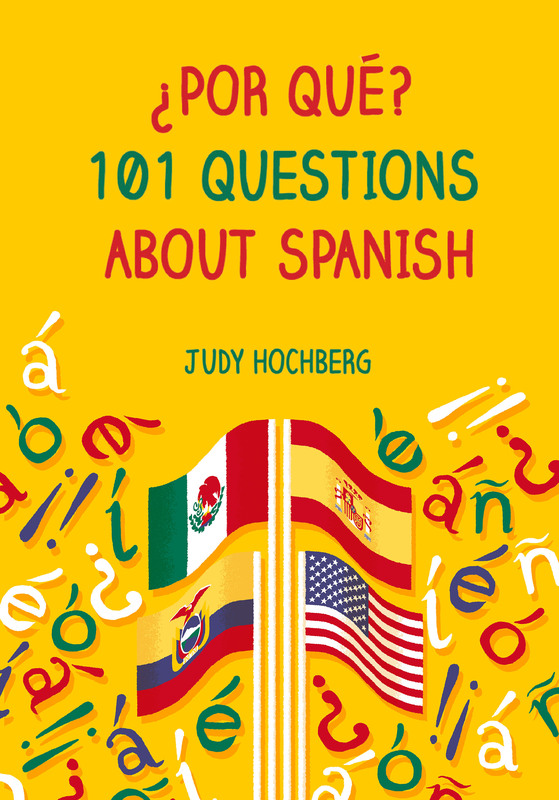 This entry was posted in Learning Spanish, Spanish Friday and tagged Belgian French, learning Spanish, Spanish, Spanish pronouns, vosotros, vosotros and ustedes on 29 November, 2013 by jhochberg. Hmm, this is a really thought-provoking post. I don’t know if I agree with the conclusion or not as I’ve never given the idea thought… I will be thinking about it though! I think you are completely correct in your assessment of beginning language learners and why they make such “simple” errors as adjective/noun agreement. I explain to my students that it is always these types of grammatical constructions that are the most difficult to internalize – things like the differences between ‘ser’ and ‘estar’ that we don’t have in English, or the concept of adjective agreement. I illustrate by pointing out that, in English, we don’t describe things as ‘greeno’, ‘greenos’, ‘greena’ or ‘greenas’, and they “know” this, but not quite well enough that they don’t make frequent errors with it. When viewed this way, as something that is going to take a lot of time and practice to really “know”, it does remove a lot of the teacher’s frustration at these common errors! Thanks, Susan. I also take the opposite tack by modeling what a grammar rule that they truly “know” feels like. For example, I assure my students that when they “get” gender, a gender error will sound just as ugly as “I have three book” would in English.